Like so many revolutionary introductions in the field of mobile technology, the latest one unveiled last September 1st came from Samsung. It highlights the marriage between design and innovation that proves how the collaboration between the two can result in beauty with purpose - most evident in their latest flagship phablet devices, the Samsung Galaxy Note 5 & Galaxy 56 Edge+. 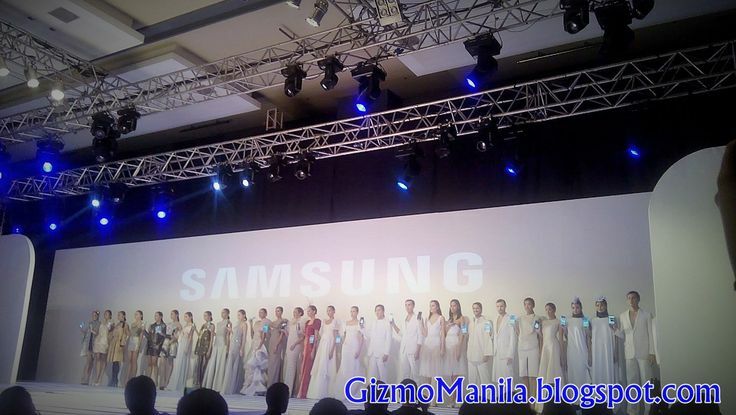 Ushering in the launch of this years most anticipated smartphones was the S CARPET: Fashion & Inspiration - Samsung Electronics Philippines' fashion-forward VIP event held at the SMX at SM Aura Premier. It was graced by some of the biggest names in fashion, design, entertainment, and arts who were witnesses to another milestone in Samsung and mobile technology history. The highlights of the evening were the Samsung x FDCP fashion show showcasing stunning all Filipino designer pieces, and the awarding of the first-ever Samsung Noteworthy & Edge Maker awards featuring Philippines' fashion and art's corps d'elite. Inspired by the spirit of pushing boundaries & driving innovation, Samsung once again fused fashion & technology by putting the spotlight on their established partnership with the Fashion and Design Council of the Philippines (FDCP). The S CARPET event featured an interactive digital fashion show that illustrated the marriage of style and technology, in support of Filipino artistry and creativity. Acclaimed designers Avel Bacudio, James Reyes, Ivarluskl Aseron, Vic Barba, Joey Samson, and Anthony Nocom opened the show by unveiling the White Pearl Collection, which represented the blank canvas that designers start with as they explore the possibilities of where their creativity can take them. As a tribute to Samsung Galaxy Note 5's all-new design, and the maximum productivity that the all-powerful S Pen brings its users, a video was projected upon the screen showing the designers sketching their designs on the Galaxy Note 5. To the delight of the esteemed guests, the sketched designs were projected upon the white pieces as the models strutted down the catwalk. 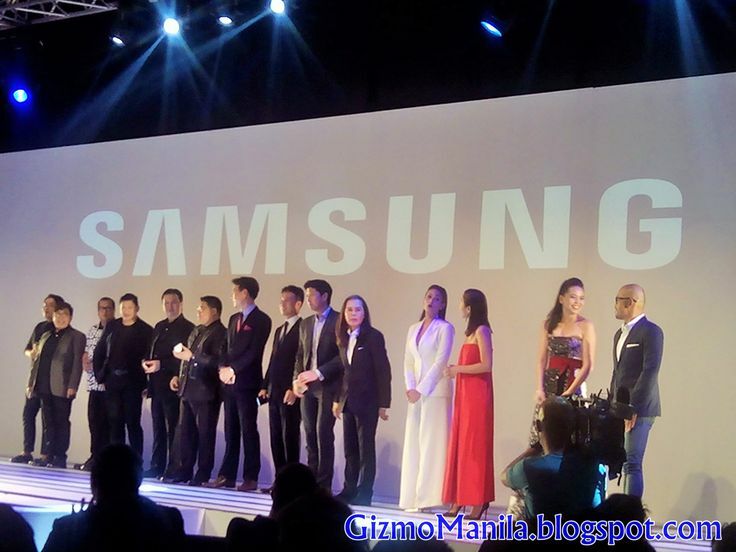 Jerome Ang, Joel Escober, Ramon Esteban, Gerry Katigbak, Pablo Cabahug, Kristel Yulo, Ronaldo Arnaldo, Happy Andrada, Hindy Tantoco, and Noel Crtsostomo followed it up with the Silver Titanium & Gold Platinum Collection, which mirrors the elegant glass and metal finish of the Samsung Gataxy S6 Edge+. Finally, Dong Omaga-Diaz, Frederick Peralta, JC Buendia, Jojie Lloren, Randy Ortiz, and Albert Andrada showcased their own take on the traditional terno as a fitting finale to celebrate Filipino artistry and make a statement on how technology can reinvent something traditional into something modern. Acknowledging that great achievements serve as inspirations that drive passion - and in celebration of Samsung's commitment to drive innovation that helps consumers do more, the brand recognized six personalities: a truly noteworthy individual whose unmatched achievements are true moments of note; as well the catalysts of this generation who dared to push boundaries, and drive their passions to the edge. For these personalities, Samsung Electronics Philippines presented the first-ever Samsung Noteworthy Award, and the first-ever Samsung Edge Maker Awards, respectively. "Putting the spotlight on these notable individuals was a way for Samsung to be true to its commitment of being enablers of consumers through relentless innovation in mobile technology. The Samsung Noteworthy award is given to an individual who has been able to create a lasting mark in his field by being relentlessly driven to do more and ultimately achieve more. On the other hand, the Samsung Edge Maker award is given to distinct individuals who are known for pushing boundaries, and passionately honing their crafts to their finest. 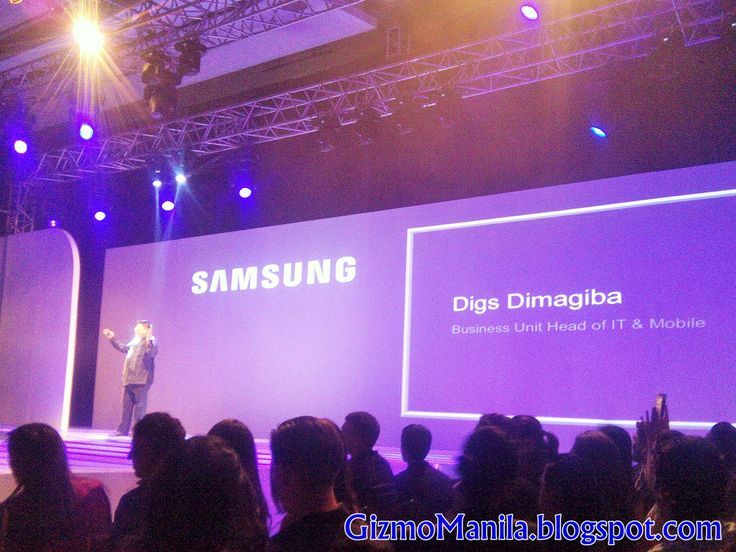 Recognizing these indivduals also paves the way for Samsung to continuously innovate and empower different lifestyles through our mobile devices," says Chad Sotelo, Head of Corporate Marketing at Samsung Electronics Philippines. Setting the standard for class, sophistication, and high fashion, Philippine Prince of Fashion Inno Sotto rightfully brings home the first-ever Samsung Noteworthy award. With more than 30 years of creating magic in the fashion industry and being every bride's dream designer, his achievements extend beyond the local scene ultimately making his mark in the ever competitive international fashion landscape. Aside from the well-celebrated Inno Sotto, Samsung also recognized some of this generation's catalysts who serve as inspirations in pushing boundaries and pursuing passions to the edge. First on the list is multimedia personality Bianca Gonzalez-lntal who is a household name when it comes to TV hosting. Truly a woman of substance and diverse passions, she is Meg magazine's editor-at-large, a best-selling book author, and has also been a UNICEF supporter since 2007. Next is premier celebrity fashion stylist Liz Uy. An ultimate fashion authority, she serves as Preview magazine's editor-at-large, and has a client roster that includes some of the country's top stars such as Kris Aquino, Bea Alonzo, and Anne Curtis. Another Samsung Edge Maker award recipient is top fashion photographer Xander Angeles. With an acclaimed portfolio marked by edginess, sensuality, and irreverent display of light and color, he is one of the country's most sought-after photographers. He has also gone on a personal mission to actively pursue running and healthy living. Also included on the list is award-winning actress Iza Calzado. Aside from her timeless beauty, Iza is known for her prowess in acting which has won her awards from Gawad Urian and Guillermo Mendoza Memorial Foundation Awards to name a few. This year, she went beyond her TV & film career, with her successful stage debut via the musical "Sabel: Love and Passion." Last but not the least is fashion journalist Ingrid Chua-Go. A force of fashion, her blog Bag Hag Diaries has garnered international following which spans across Europe and the United States ultimately leading her to work with coveted brands like Gucci, Dolce & Gabbana, and Roberto Cavalli. Truly inspiring, these five individuals were the recipients of the first-ever Samsung Edge Maker Award - each of whom were honored for being catalysts of this generation as they dared to live big and pushed boundaries to the edge to pursue their passions. With Samsung, the line between fashion and technology blurs as it wonderfully merges to bring about extraordinary innovations that cater to every individual who dares to live big. Be daring and go for bigger things in life as the Samsung Galaxy Note 5 and Galaxy S6 Edge+ come to the Philippines on September 5, 2016. Visit www.nextisnow.ph to know more about Samsung's latest phablet devices, and visit the nearest Samsung Experience Store today.